Welcome to Highland Dental, located in Smyrna, GA. Our office specializes in general and cosmetic dentistry. Over the past 10 years, Dr. Michael Nguyen has helped many patients obtain their ultimate dental goals. At his state-of-the-art practice, he treats patients throughout the Metro Atlanta area. Our office is always accepting new dental patients and we pride ourselves on providing a personalized experience for each patient’s needs. Current patients compliment our office on its welcoming dental spa atmosphere as well as our unique amenities to maximize patient comfort and relaxation. We offer patients Bose noise-cancelling headphones and each operatory room is equipped with a flat panel TV. Whatever your need or desire you can be sure you’ve come to the right place. It is always a pleasure to serve you and your family’s complete dental needs. 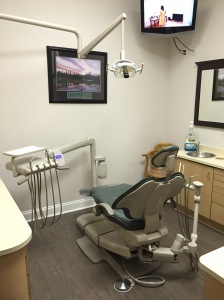 Highland Dental is conveniently located at the corner of South Cobb Drive and the E.W. Connector in the Publix shopping center. Please ask about our NEW patient referral program!